Take your time, as long as such wonderful works are coming I'm willing to wait patiently hihi Good luck on all your exams!! These are gorgeous! I love this mani so much! 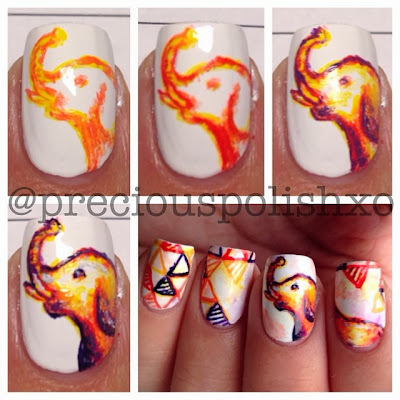 Your elephant looks amazing!